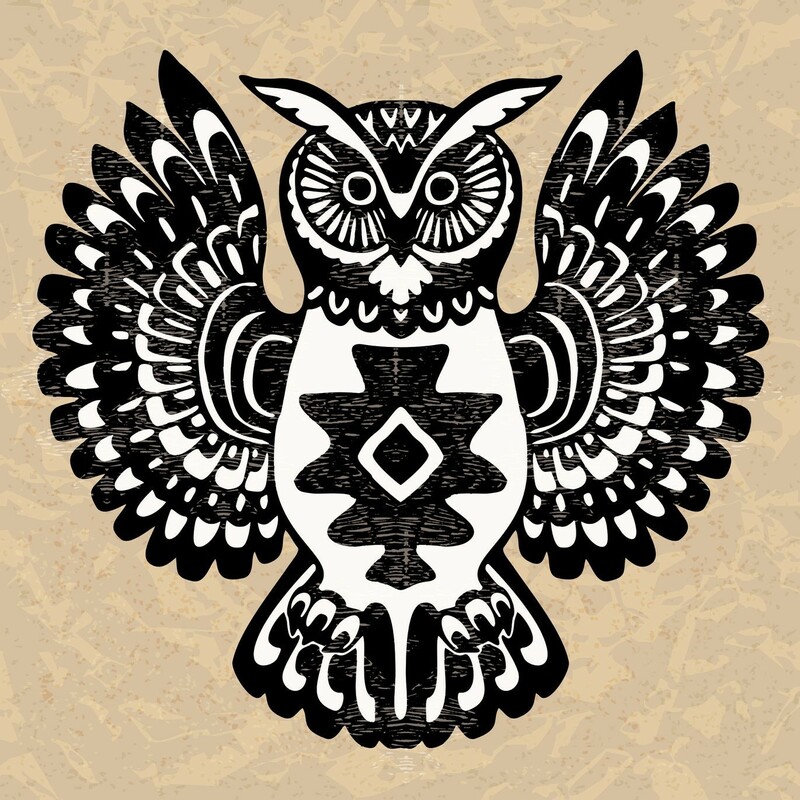 Your totem animal is a spirit guide in animal form who is part of your spirit guide entourage for either a period of time (in connection with a specific life lesson) or your entire life (personal power animal). You can have more than one totem/power animal and they can change as you go through different developmental stages in life. Totem animals resonate with different chakras and highlight both inherent power and weakness of those chakras. When highlighting a weakness, the less desirable traits of the animal comes to the fore. These are the aspects that fill you with fear, shame and even terror… making you project these qualities onto others rather than owning them for yourself. In Jungian psychology this is referred to as the Shadow. You can also have a family totem animal. In my own family, as an example, all four (my mother, father, sister and I) all have a 3 Life Path Numerology. This corresponds with The Empress (Venus), whose symbol is the White Dove. This is not just intellectual knowledge to me, as we all have had visions of said Dove at different times in our life. Totem animals sometimes visit in our dreams (as do angels and spirit guides). I have personally found these to be some of the most powerful, meaningful and memorable dreams I have had. 1. Archetype – Chakra Lesson. Use a Major Arcana deck for this or use only the Majors from a full deck. For the rest of the spread use a separate deck that contains all Major AND Minor Arcana cards, allowing for repetition of the Major you pulled in position one. 2. Mental concept / awareness. After making sense of the first card, you will instantly recognise how this ties in with the card in the second position as this is something you are already aware of. 3. Subconscious emotional component. This deals with the repressed emotion your totem animal is trying to help you heal. 4. What seeded this lesson. This will show how you dealt with the issue in position number three in the past (either by projection or some kind of destructive behaviour). 5. What resolves this lesson. This is the actual medicine/remedy this animal brings. 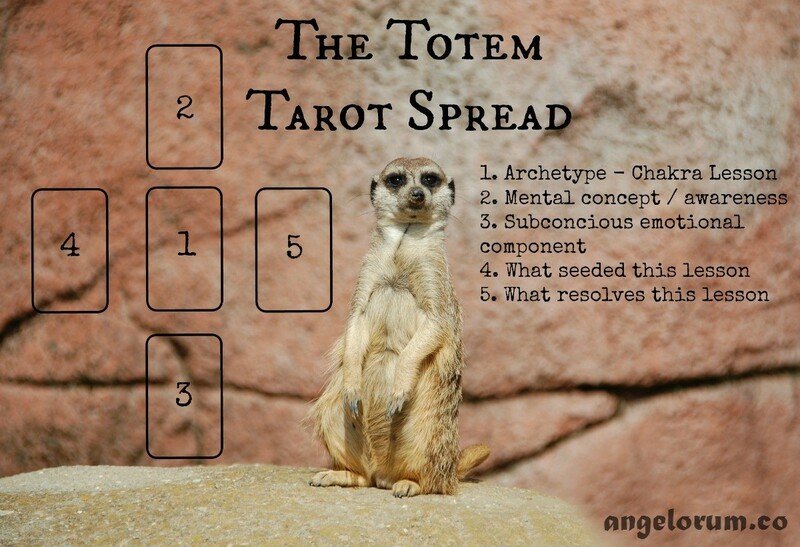 You can use the Totem Tarot Spread for any time you have an animal bring you a message – not just for dream visitations! Hope you enjoy trying this out and please feel free to share what you learn in the comments below!